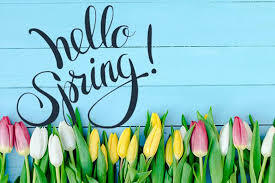 The April 2019 Board of Directors Meeting will be held on Monday, April 22, 2019 in the gym at 6:00pm. Columbia Place’s security committee member is Boris Ilic. If you have any questions or concerns pertaining to security or would like to volunteer to serve on the committee please contact borilic@hotmail.com. There is currently a vacant seat on the Columbia Place Board of Directors. If you are an Owner in good standing and would like to be considered for appointment, please contact Management at kthomson@actionlife.com with some information about yourself and why you would like to serve on the Columbia Place Board. The disposal may grind it, but Columbia’s pipes cannot handle grease, scraps, cornhusks, egg shells, peels (apples, carrots, etc. ), oils/butters, excessive soap, coffee grounds, or rice. Moreover, since condos are stacked, a drain issue in one condo likely impacts those above/below. Please remember – and ask cleaning staff to remember – to avoid the items listed to help keep Columbia’s drains flowing. Looking for something fun to do this weekend while supporting a great cause? Race for Autism is taking place on Saturday, April 6 from 7:30am to 12pm at Balboa Park. Management has reached out to WinDor to find a Saturday that will work to meet at Columbia Place to discuss with residents who are in need of repairing or replacing their windows. Once a date has been confirmed management will notify all residents. During the last board meeting the board discussed installing new plants in the spa area, replacing the current fire alarm panel with a more up to date one, the possibility of installing a virtual guard to assist with security in the complex, replacing the old rower in the gym with pre-owned one, and approved Pro Tech Paintings proposal to repair the stucco on the exterior of the building, These minutes will be available to owners after the April meeting. The March 2019 Board of Directors Meeting will be held on Monday, March 25, 2019 in the gym at 6:00pm. There is currently a vacant seat on the Columbia Place Board of Directors. If you are an Owner in good standing and would like to be considered for appointment, please contact Management at ggrana@actionlife.com with some information about yourself and why you would like to serve on the Columbia Place Board. As a reminder, if you are renting your unit, you are required to submit the lease to management at ggrana@actionlife.com or to gsesma@actionlife.com. This allows us to update our communication system and get in contact with the appropriate parties in the event of an emergency. As always, the CC&R’s require a minimum rental period of 30-days. If you are found violating this, you may be subject to a hearing and fine. The February 2019 Board of Directors Meeting will be held on Monday, February 25, 2019 in the gym at 6:00pm. Action Property Management. 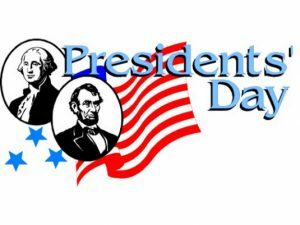 Professional Maintenance Systems (Janitorial) and CityMark will be closed on Monday, February 18, 2019 in observance of Presidents Day. If there is an afterhours maintenance emergency, such as a flood, please contact Action Property Management at 949-450-0202, afterhours personnel will assist you. Have a safe and wonderful holiday weekend! Please all give Adan a warm welcome to the community as Columbia Place’s new engineer. As rates continuously increase for the necessary utilities, please be cognizant of your electrical and water usage. The 2019 ProForma Budget that was sent out to the Membership reflected an increase in water, which contributed to the overall increase in the budget. In addition, the Board supports the “Go Green” efforts and encourages all Columbia Place residents to partake in this movement, to not only save money but also, save the environment! The Board of Directors met with WinDor Representative, Russ Bellows in regards to working with Columbia Place as their preferred vendor for windows. WinDor now has a $2,000 minimum for residents. Discounts begin for residents once the total is over $5,000 and up to a 30% discount when over $20,000. The Board has requested a Saturday that WinDor come onsite, where Owners can get a proposal from them to help in getting a group deal for the Residents. Please notify management within the next 30 days with thoughts on this and if you would be willing to meet on a Saturday to discuss this and come up with a similar plan regarding AC Units.